6:10 - What Is Accessibility & Inclusive Design? 7:00 - How Do I Build and Evaluate Inclusive Websites? 7:45 - How Do I Improve My Code for Accessibility? 8:45 - What Can I Do With My New Knowledge? 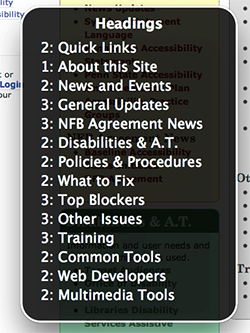 Step 1 - Understand the definition of Web accessibility. Definition as defined by the W3C's Web Accessibility Initiative. Tim-Berners-Lee Quote. The image was choosen as an association with vision and beauty but also to illustrate that all disabilities are not necessarily obvious. The fact the user is not facing the camera alludes to this concept. The Americans With Disabilities Act (ADA) requires that individuals with disabilities must have access to online tools. The Web Content Accessibility Guidelines (WCAG) 2.0 covers a wide range of recommendations for making Web content more accessible. Introduce the WebAIM Screen Reader survey and show the common problems. Marcy's version of the infographic highlights topics covered in the two classes. This can be helpful to keep open in a second browser tab so it can be referenced more than once. Step 3: Challenge our assumptions about our end users. Have a Disability in the U.S. The following categories are illustrative and are not intended to be an exhaustive listing of all disabilities and barriers. 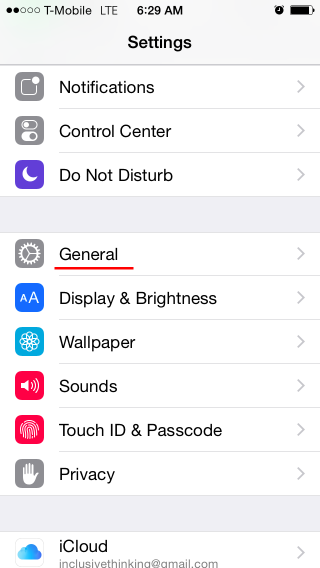 This can mean non-sighted users, users with low vision, users with obstructed vision, or older users. 15% of American adults aged 18+ report some trouble hearing (Source). This can range from mild/moderate hearing loss ("hard of hearing") to deafness. Users could have neurological, behavioral or mental health disorders that may impact how well they hear, move, see, speak, and understand information. Cognitive, learning, and neurological disabilities do not necessarily affect the intelligence of a person. 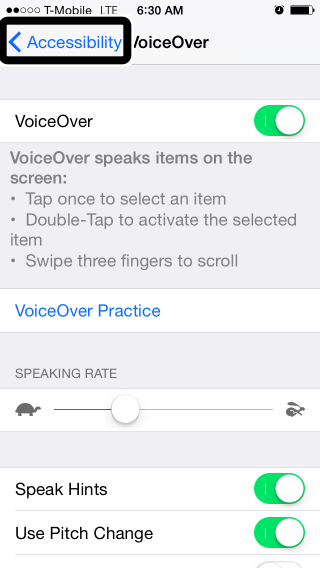 Instructions for activating and using VoiceOver on an iOS device. 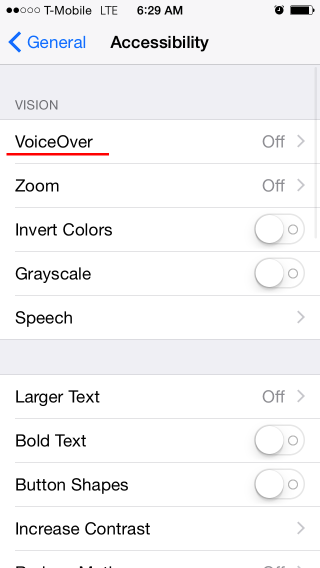 Instructions for activating VoiceOver for OSX. How Do I Build Inclusive and Accessible Websites? You don't have to read through all this documentation to start following best practices for accessibility. Focus on improving user experience rather than checking of boxes. WebAIM provides a checklist that is more beginner-friendly. Valid code is accessible code. Validate your code for parsing errors. What issues did you notice? Accessibility Evaluation Tools are very good at finding issues with your code. However, they are not very good at evaluating user experience and interactions. Use accesibilty checkers in addition to manual testing. Once installed a "W" icon will appear in the browser toolbar. Press the icon to run an audit of the page. Lighthouse is built into the Chrome DevTools and can perform audits for performance, accessibility, progressive web apps, and more. tota11y is an open source accessibility visualization toolkit from Khan Academy which can be added to your codebase and run locally during development. Download a browser plugin or use Chrome DevTools. Run the audit on the website you already manually tested. Review the results to find additional issues. 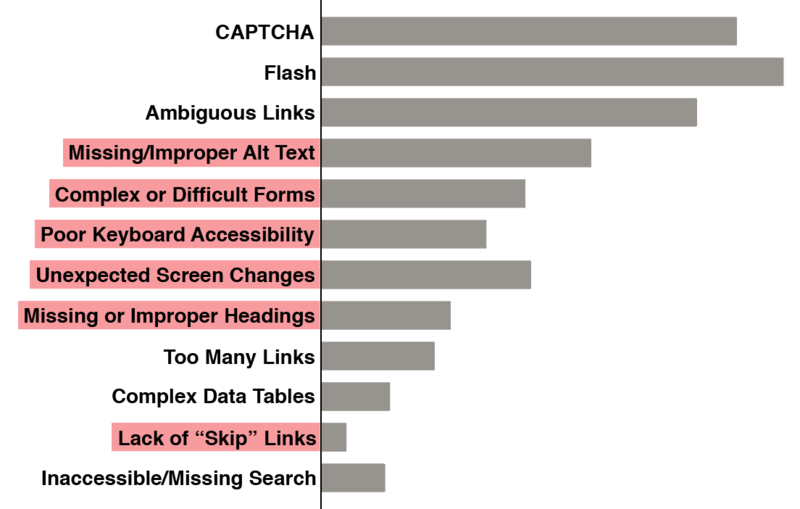 What new issues did the accessibility checkers catch? 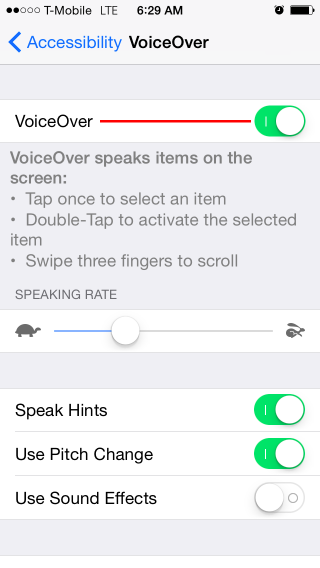 Specifying the language of the page tells the screen reader how to pronounce the words. If you don't specify, the screen reader will use the user's default language, meaning potential mispronunciations. It's surprisingly easy to forget to include a title tag in the head of your webpage. Make sure it accurately and concisely describes the content of the page. This way it's easier for users to find your website when multiple tabs or windows are open. While you're at it, check the following elements to make sure their text or labels accurately describe their function out of context. 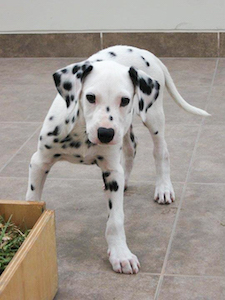 The alt attribute specifies alternative text for an image that convey the same thing as the image. Alt tags are also important for Search Engine Optimization (SEO) and when your images don't load. If an image is purely decorative, set an empty alt tag and screen readers will ignore that element. Logos are not just decorative, so include the name represented by the logo. Avoid redundant phrases like "image of". Valid code is accessible code! Wrap list items in ordered or unordered list tags. Your pages need sufficient contrast between foreground (text or graphics) and the background. 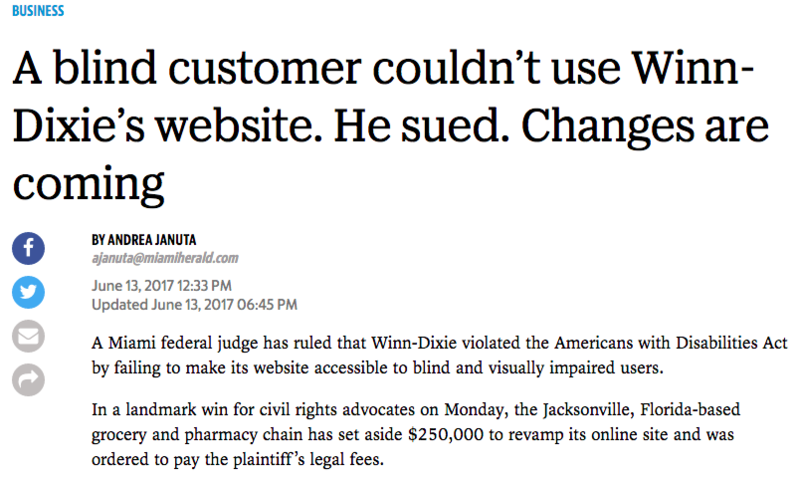 What are some quick fixes we can make to this website to resolve some of the issues found by the accessibility checker? Semantic HTML Elements communicate meaning, content and structure to the browser and the developer. Non-semantic HTML Elements communicate less meaning to the browser, screen reader or other assistive device. 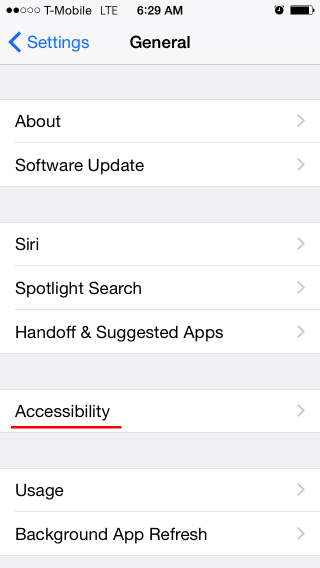 Assistive devices have an accessibility API as part of their operating system. The API translates a web page into something that can be interpreted by screen readers. Screen readers can easily read and interpret semantic HTML elements. Non-semantic HTML elements convey no information to the accessibility API. Semantic HTML can help you logically order your page. Using landmarks will also help your screen reader users navigate your page more quickly. HTML5 includes semantic elements such as: nav, main, aside, footer. Descriptive headings can help users better navigate your page. Make sure you use leveled headings in the right order. Use CSS to format your headings rather than using a lower level heading just for smaller text. If you use headings and landmarks appropriately, you will not need to add a "skip navigation link." But here's a good tutorial, if you're interested. 2. 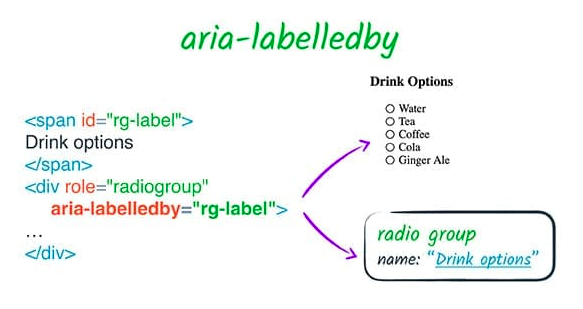 Use label for to associate the label text with the input using it's unique id. Hiding labels - Caution: using CSS like visibility: hidden and display: none will also hide that text from screen readers. 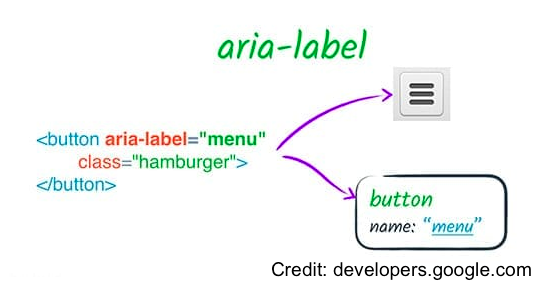 Using ARIA labels: coming up next! How can you refactor the code to include more semantic HTML elements? Replace non-semantic divs with native HTML elements. Use HTML5 landmarks or roles. In other words, ARIA helps screen readers decipher Web content. Keyboard accessibility is one of the most important aspects of web accessibility. Many users with motor disabilities rely on a keyboard. When you tab through the elements on your page, they are usually highlighted subtly to show that the focus is on that element. You can modify this styling but do not remove it! The order in which elements receive focus should be logical. Interactive elements like links, buttons, and form inputs are natively tab accessible. Headings and text usually do not need to be tab accessible, so do not add tabindex to page contents. Caution! CSS can override the order they show up in the code (or DOM). The tabindex attribute can also be used to change the tab order. If you are creating custom interactive components, you may need to set tabindex=0. Setting a tabindex greater than 0 will move that element up in the tab order. This is not recommended. Make sure to inform your users when content has dynamically changed! To wrap things up, find places where you can improve the tab order and focus.